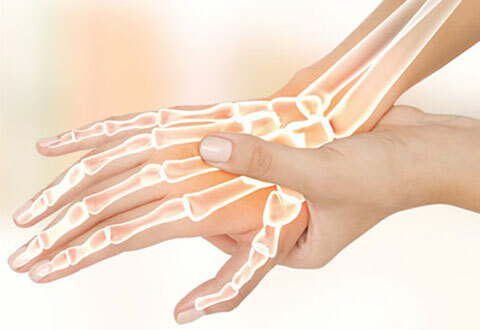 The Department of Hand and Reconstructive Microsurgery in Singapore General Hospital provides comprehensive management of all trauma and diseases affecting the hand, wrist and upper limb. The Department comprises 10 specialist surgeons and provides comprehensive and quality care for the hand, wrist and upper limb in a one-stop center with the backing of a dynamic and proficient team of junior doctors, resident trainees, nurses, therapists and administrative staff. The Department is a recognized tertiary referral center for complex conditions affecting the hand, wrist and upper limb providing subspecialty care for the entire Singhealth cluster of hospitals (Sengkang General Hospital, Kandang Kerbau Women and Children’s Hospital and Changi General Hospital) and polyclinics. We provide 24-hour emergency, specialist outpatient clinics and ambulatory surgery services. Since its establishment in 1985 the Department has become the main centre in Singapore for replantation surgery. Replantation is a routine emergency “reconstructive” surgery. We have been successful in replantation surgery ranging from distal digit tip to proximal arm amputations. Our youngest successful replant was 8 months old and the oldest was 65 years of age. We have a comprehensive post-operative microsurgical care which include the Ambient-Control Device which is developed in this department. Our success rate of more than 80%. We introduced the practice of early mobilisation, functional reintegration for the replanted hand. This has resulted in a significant improvement in the functional recovery of the replanted part. Complex microreconstruction for the severely injured hand and upper limb is being routinely performed in the department. Our armamentarium include free tissue transfer (skin flap, muscles, bone and nerves) and composite transfer of toes and joints. A common affliction especially in patients doing high demand job and sports. As a tertiary referral centre, we treat difficult wrist injuries with their problems from fractures to wrist pain and wrist instabilities. Corrective surgery for complications arising from severe distal radius fractures are done in this department. At the present moment, numerous new techniques are developed to treat these difficult injuries with chronic disabilities. The most significant are the two new techniques for reconstruction of carpal and distal radio-ulnar joint instabilities. The department routinely offers Endoscopic Carpal Tunnel Release in addition to the conventional open release. This minimally invasive procedure decreases immediate post-operative morbidity. We provide therapeutic and diagnostic Arthroscopy of the wrist. The hand and upper limb may be paralysed in the following conditions: brachial plexus injuries, obstetrical brachial palsy, cerebral palsy, stroke and traumatic brain injury, and tetraplegia. A comprehensive programme for management of these conditions is provided at the Palsied Hand Clinic. At the Palsied Hand Clinic integrated multi-disciplinary services include: clinical evaluation, electrodiagnostic studies, advanced radiological imaging, functional assessment, conservative management, reconstructive hand surgery, hand therapy and rehabilitation, support groups, medical social services and vocational reintegration. Reconstructive surgery aims to restore shoulder, elbow and hand function. A large proportion of the departmental workload is trauma related. The department treats patients from the simple fingertip injuries to the tendon injuries and fractures; and to the more complex multi-tissue mutilating injuries. The Department’s contribution includes development of surgical techniques for fractures treatment and tendon repair to allow early rehabilitation. Our aim is early definitive surgery to allow rehabilitation and early return to work.